That’s right, it is finally May 23rd, 2010, and for those of you that own a Nintendo Wii, that means today has been the day you’ve all been waiting for all year. 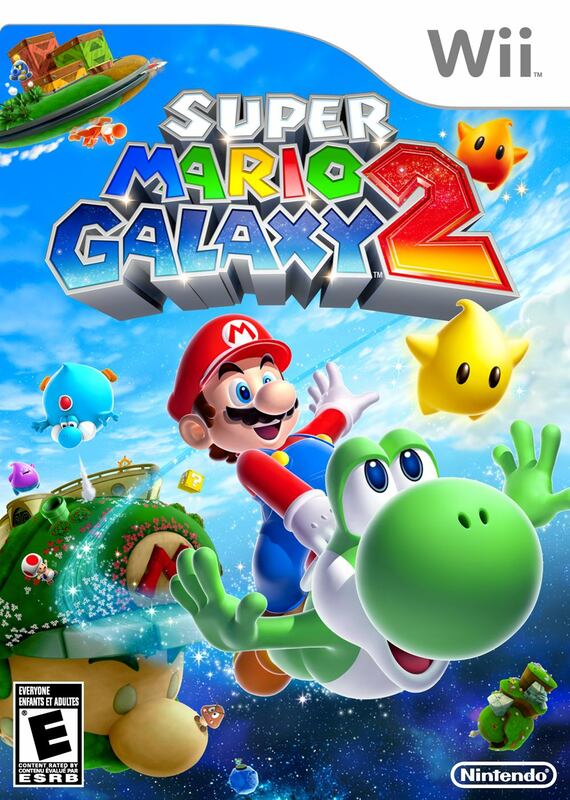 Super Mario Galaxy 2 has hit shelves across North America and besides the colossal hype behind it there are already perfect reviews popping up on popular sites such as Game Spot and IGN. Everywhere I looked, I was shocked to see how no one had anything significantly bad to say about Mario’s newest 3D adventure, especially considering this is the first time Nintendo has released a new chapter of the lovable Italian on the same console. After all the creativity and effort put into making the first Mario Galaxy game and all the new features advertised for this sequel, many gamers have been hoping for another near-perfect platforming experience. After getting my hands on it, I’d like to offer Skatter Tech’s in-depth evaluation of Super Mario Galaxy 2. And unfortunately for the all-too-eager fanboys and girls who are expecting another perfect review, we are taking a look at what makes this game shine as well as its faults, and yes, it definitely has its faults. I’m guessing that no one is really going to be surprised when I say there isn’t much to talk about here in terms of story. The story to any Mario game is usually just a cut scene here and there before boss battles or just as a reminder of what new power-up you’ve discovered. It starts off almost identical to the first in the sense that all is fine and dandy in Mushroom Kingdom as Mario makes his way to visit Princess Peach but soon realizes that something is going wrong. Mario notices star bits falling down from the sky and Lumas locked up in crystals all over the place as he gets closer to the castle. This is how he meets and teams up with young Master Luma, the same baby star that gave him spin-power from the first game. This time, however, when Mario arrives at the castle he notices the more than obvious gigantic Bowser who is spreading chaos as he captures Princess Peach and flees to outer space. No one seems to recall the events that took place in the original game, as Bowser even repeats his plan to take control of the center of the universe and Mario and Luma appear to have never met before. 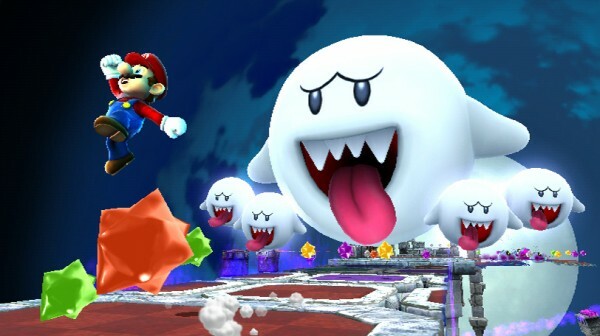 What is different about this sequel is that Rosalina isn’t present immediately; instead, a chubby Luma mechanic named Lubba gives Mario the role of captain for his own planetoid which resembles Mario’s face, as creepy as that is. 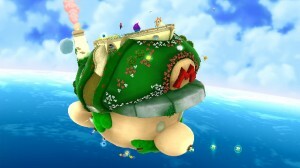 This customized mini-planet doubles as a spaceship for Mario and is the programmers’ way of allowing the player to immediately jump from level to level. A certain amount of levels, referred to as galaxies, fill a world and at the end of each world there is a Boss, although sometimes levels require defeating minibosses to gain a star. 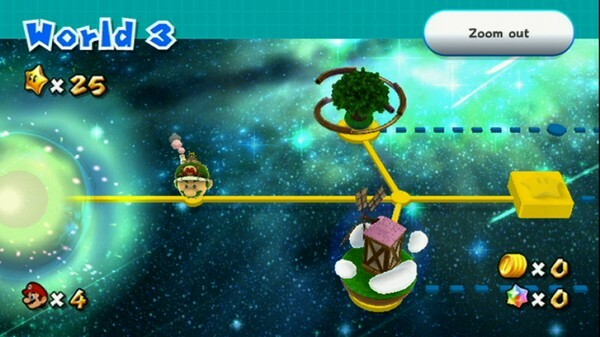 Each level contains different ways to find power stars in the same way the other 3D Mario games have, that can’t necessarily all be discovered right away, just like the original Super Mario Galaxy. Each level has a hidden comet-coin that can be collected to summon comet stars, or prankster stars. Comet stars will randomly spawn at certain levels making new challenges available. The more stars that Mario rescues allow his vessel to open paths for more levels while grand stars, those collected from a boss fight, will open a portal into the next world. So far, all the 3D platforming Mario titles have had a total of 120 stars, with a bonus one including a secret level or cameo. 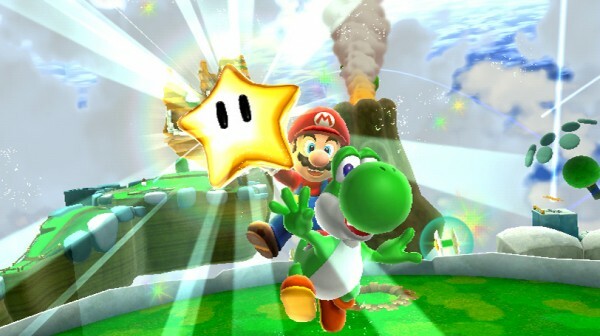 This time around, Super Mario Galaxy 2 is expected to have 241 stars: that’s 120 stars collected throughout the game, 120 green stars open after completion, and finally a bonus star and world after 240 are found. Although it takes only 70 of these adorable fellows to make it to the “end” of the game, there is now literally twice as much replay value compared to the previous titles and there will be plenty of incentive to revisit every galaxy for those perfectionists out there. The “bonus” galaxies are back again since there are more hungry Lumas to feed located in every world, giving incentive to collect plenty of star bits. It’s worth pointing out that there are more than enough star bits, coins, and lives in this game. 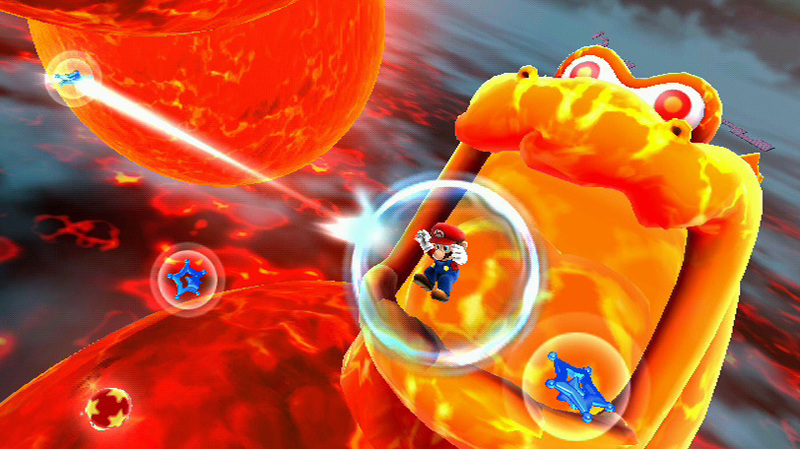 Super Mario Galaxy had its challenging levels, but never punished a player with too little lives. This sequel is no different, there are actually more lives and items in this one which makes each level more entertaining since there are a ton of extra colorful goodies to collect. While co-op isn’t typical for a strong 3D platformer, Mario Galaxy 2 does have a more in-depth multiplayer option which allows another person to become a Luma and help collect and even fight in levels. There is plenty of reason to keep on playing and have it be worth the price tag, but does Super Mario Galaxy 2 live up to the level of excitement and engaging gameplay that its predecessor set the bar for? Yes it does. This game does a fantastic job putting an incredible amount of creativity and plenty of platforming challenges that require quick-thinking in every single level. Just when you think you’ve played every scenario Nintendo can throw at you, a new level opens up and a ton of new challenges wait. With more power-ups and playable characters come even more ways to use them all. There are different ways to use Goron Mario, excuse me, Rock Mario, or any of the other various abilities depending on what the current circumstance calls for. The point is there are several new powers and plenty of new galaxies just as creative as the first games’. This means that sequel successfully avoids simply being more of the same, even though the platforming mechanics haven’t changed much. Everything is just as gorgeous to look at, if not more so, and with brand new and re-imagined baddies to fight it can be just as fun to get lost in the levels exploring. At times the level-design will even completely change to 2D environments giving the layer a nice break from the usual 3D roaming and adds to some of the New Super Mario Bros. mechanics. Even though Super Mario Galaxy 2 hasn’t even been out for a full day, it is already being referred to as the “standard” for next-gen 3D platforming adventure. There is no denying that this game is stunning to play with seamless gameplay that can be picked up by any casual gamer while still offering a challenge for veterans. There are plenty of additions to the sequel of a near-perfect game, and not all of these brand new elements work as well as they could. It’s obvious that trying out new elements in a game can’t always be done perfectly the first time around, which is the whole reason why sequels exist in the first place. The reason it’s important to note this is because that’s exactly what’s going on with some of the new additions in Super Mario Galaxy 2, mainly the dramatically altered overworld, the way you maneuver between levels, and the limitations on all of the playable characters. As previously mentioned, Lubba is now the primary guide who constructs a personalized spacecraft for Mario on his adventure to collect all the power stars and save Princess Peach. Since the ship allows you to maneuver from level to level in a linear fashion as you unlock them, it most resembles the overworld in Super Mario Bros. 3. You no longer have Rosalina’s observatory acting as a hub as you opened up new areas and rooms leading to new galaxies the way you did in the original game. That hub alone had drastically changed from Super Mario 64, which had an incredibly open castle with paintings and new rooms that would become available as the game progressed. This means Nintendo continues to streamline the series to become more accessible to casual gamers. Their reasoning is to allow players who haven’t been playing for a while to be able and pick up right where they left off and jump straight into the action. And this is exactly how Nintendo broke my heart. The player loses sense of scale when traveling through the game’s universe by not having a significantly large overworld, and it leaves a game feeling stripped and bare-boned. Can you imagine playing a 3D Zelda game by simply selecting which dungeon you’d like to go to instead of traveling and collecting? It’s the same thing that New Super Mario Bros. Wii did, and the whole point of the Galaxy series is it’s a large-scale adventure that expands on an already incredibly large Mario universe in which the player is given full control to explore, discover, and challenge. Luckily this issue doesn’t cause Super Mario Galaxy 2 to fall apart, simply because of how vast each galaxy is and how often it changes its appearance based on which star you are aiming to collect. What the dull overworld does, ultimately, is take away from the appearance of the game as a whole, but thankfully the game has enough depth in its platforming to rescue it from the simplicity of New Super Mario Bros. Wii. The problem with the playable characters, Mario included, is that they are each lacking in some sense. This time around, Luigi is available at the start of levels rather than having to collect all 120 stars as the first game required. Unfortunately, as exciting as it is to be Luigi, there isn’t much more of a change when using him. It really is more of an “alternate costume” than anything else. He does have a slightly different stopping speed, but it would have been a good idea to give him a significantly different skill set in order to have made it an actual change to the gameplay experience. In terms of the expected Yoshi, there was a lot of concern leading up to the game’s release as to whether or not controlling him would be smooth in a 3D game. It surprised me just how smooth it was to use Yoshi, especially when using his tongue to grab, shoot, and collect. His move set consists of what was expected—speed, scurry-jump, and head-bash. But it is questionably missing one, the signature Yoshi slam. 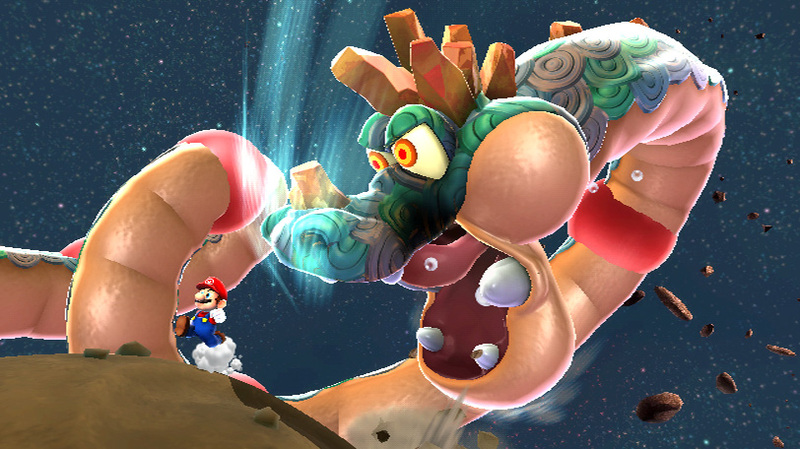 There is also the unfortunate feeling that Yoshi is merely a tool for Mario rather than a full-blown character, although Yoshi’s unique power-ups do add diversity. Super Mario Galaxy 2, while pretty close, is not actually the “perfect” platforming game so many have claimed it to be. What’s important to take away from these imperfections is that there will always be room for improvement. To say that there is an absolutely, without-a-doubt 100% perfect 3D Mario game would inadvertently doom the series to stagnation and effectively kill it, as a gaming franchise can only continue from making progress, as the 3D Mario series has. Even Super Mario 64 had its issues and it still is a must-play for the Nintendo 64. For me to tell you that Super Mario Galaxy 2 has no problems in any way would be a lie. However, that doesn’t mean it isn’t one of the absolute best platformers let alone overall game on the Nintendo Wii. Releasing a sequel for the 3D Mario series on the same console ultimately proved successful and avoided being more-of-the-same. There is enough “new” to this sequel that keeps it alive and the vast amount of creativity and aesthetics behind it doesn’t hurt the cause either. Overall, Super Mario Galaxy 2 is an excellent game, albeit with a few flaws, that challenges the previous standard for platformers and effectively delivers on the excitement it promised.